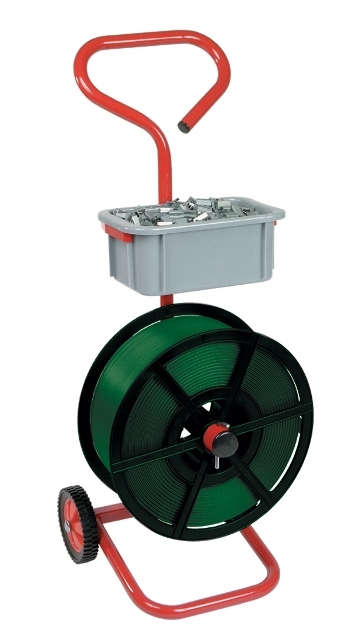 A heavy duty mobile strapping trolley with wheels for 12mm pallet strapping, branded by pro-series. For use with 12mm hand pallet strapping coils, to provide a solution to carry the coil and unwind it, while being able to move around easily. Also comes with a compartment for metal seals.